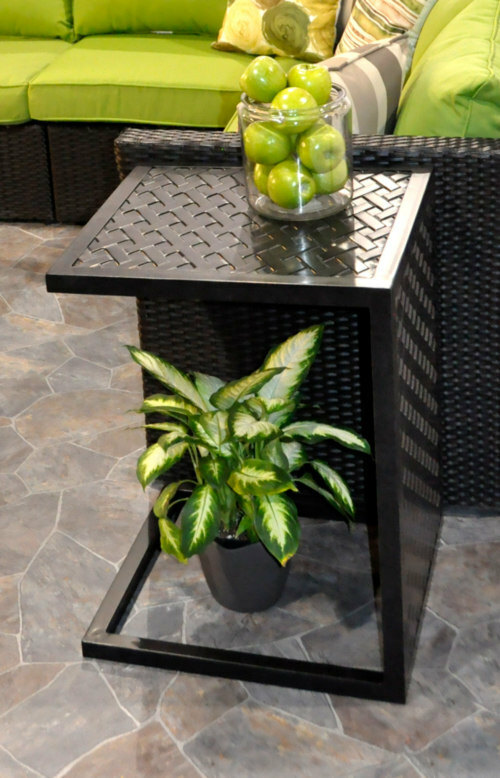 The weave end table in black tippet is highly versatile and is designed to hang over the seating part of a sofa or chair if needs be. This allows for easy use without the need to excessively reach over just to place down a coffee cup, yummy snack or to prop up your laptop. It’s small enough to be lifted out of the way easily and manoeuvred for a better fit or function.